Join us at the Fishers Farmers' Market every Saturday, May 4 through October 26 from 8 a.m. to noon at the Nickel Plate District Amphitheater. Each Saturday, over 50 vendors set up their booths for the rain-or-shine market and as many as 4,000 visitors stop by to get produce for the coming week, enjoy live music, or share a picnic breakfast with their family and friends. With children’s activities, nutritionist tours, and special events planned throughout the season, there’s always something to keep residents and visitors coming back for more! Be sure to follow us on Facebook and Instagram to stay in the know all market season long. We're on a mission to reduce waste at the market. Beginning this season, market vendors will no longer provide plastic bags, so be sure to bring your reusable shopping bags. From the Farm Hands Kids' Program, to tours with a nutritionist, and vibrant specialty days, there's always something new happening at the market. 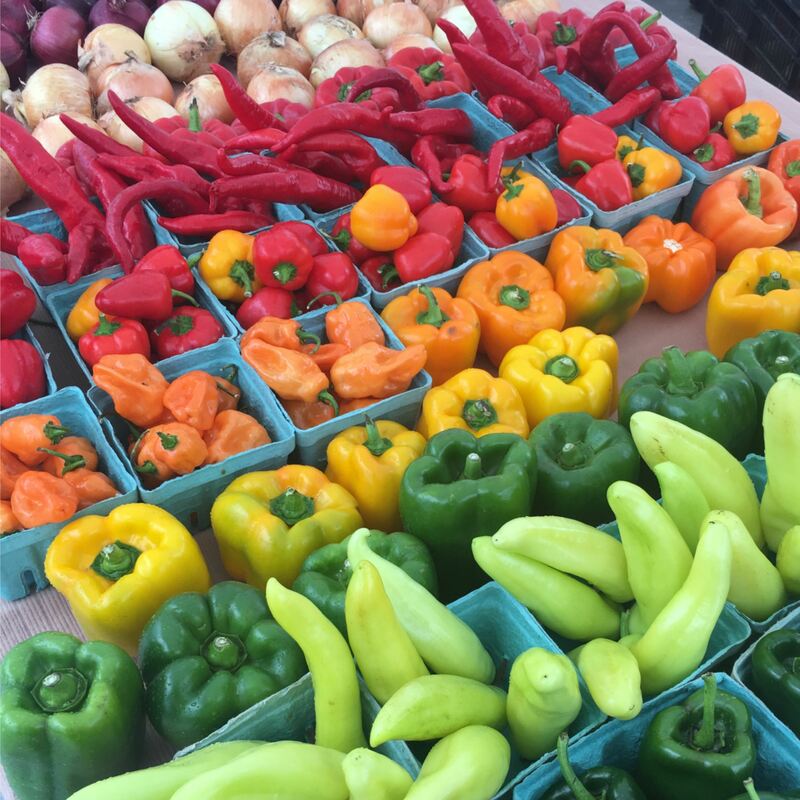 Don't miss the latest market news, vendor promotions, event updates, and more by following the Fishers Farmers' Market's on Facebook and Instagram. We're giving you an exclusive, behind the scenes look at our Fishers Farmers' Market Vendors and the vibrant stories behind their businesses. Want to get involved in the Fishers Farmers' Market? From volunteering, to sponsorships, and informational tabling, the market has something for everyone. The Farm Hands Kids' Program is a hit with our littlest shoppers and features weekly children's activities and the famously fun Two-Bite Challenge. Ample free surface lot, garage, and street parking is available throughout the Nickel Plate District and just a quick walk from the Farmers' Market. We are excited to announce that the Fishers Farmers' Market now accepts SNAP! Bring your Hoosier Works EBT card to the Market to get SNAP Market Bucks to spend on eligible foods. Learn more about SNAP, WIC, and Senior Farmers' Market Nutrition Programs at the market.